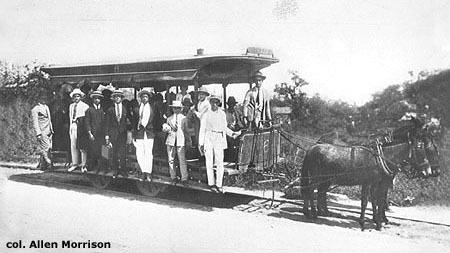 The development of rail travel south of the Rio Grande paralleled its development in the United States, Canada and Europe. 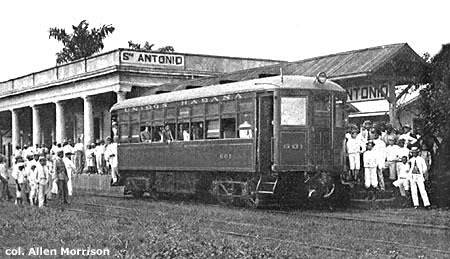 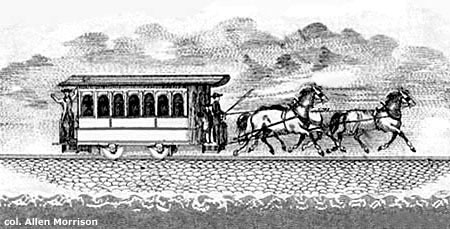 Latin America's first steam railroads appeared in the 1830s, shortly after their introduction in the north, and horsedrawn urban lines soon followed. 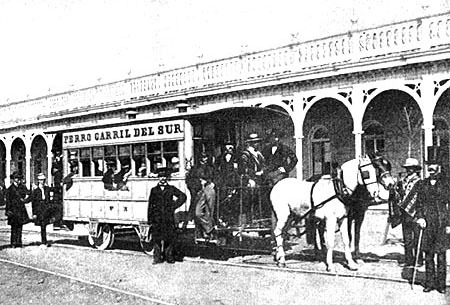 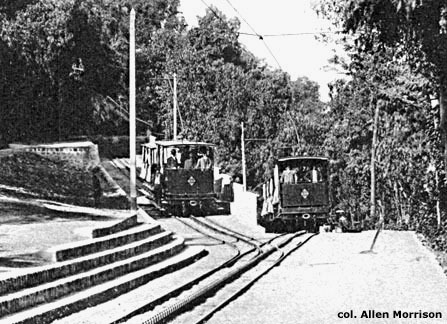 The street railway in Mexico City was one of the first in the world, preceded only by lines in New York, New Orleans, Paris and Boston. 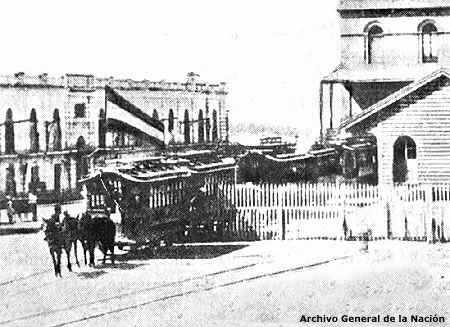 This webpage surveys the first animal, steam, electric and battery-powered tramways in Latin America. 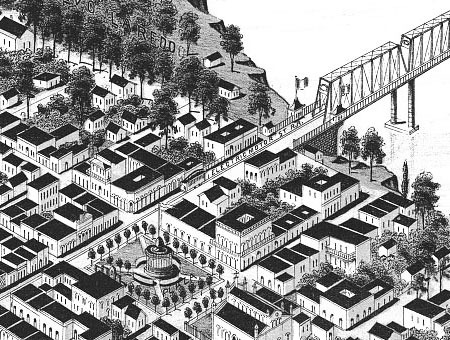 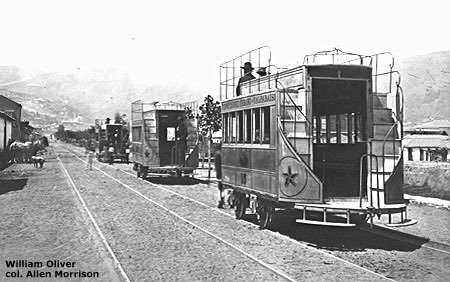 The tramway company in this Brazilian city introduced Latin America's first battery-powered streetcar on 7 October 1883. 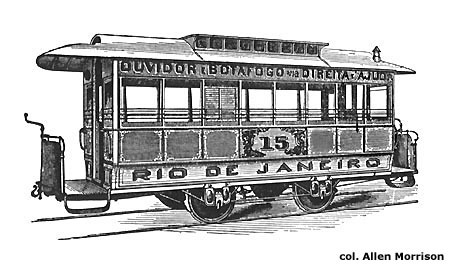 Designed by a local engineer named Carlos Basto, Niterói's accumulator car continued operation until at least February 1885, but no other information - and no pictures - could be found. 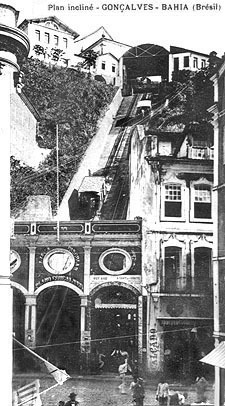 Battery power was tried in other cities but was not very successful for another 30 years; see "1913 Havana", below. 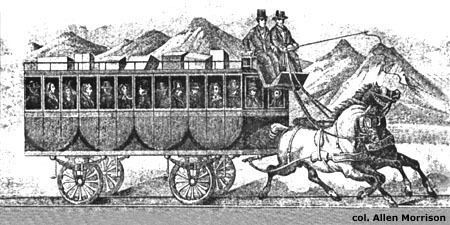 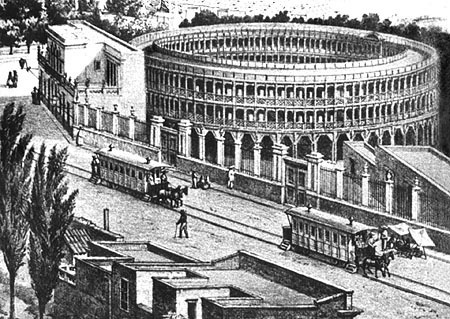 Other "firsts" could be found: the first 4-axle tram, the first electric double-decker, the first gasoline-powered vehicle, etc. 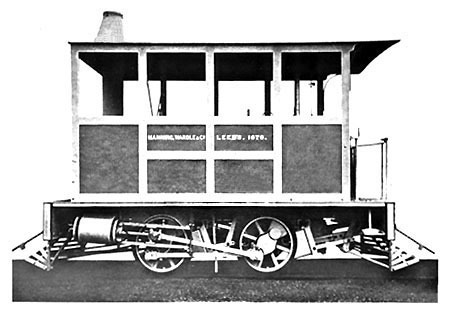 But, as demonstrated on this page, precise data are difficult to locate and good illustrations even harder. 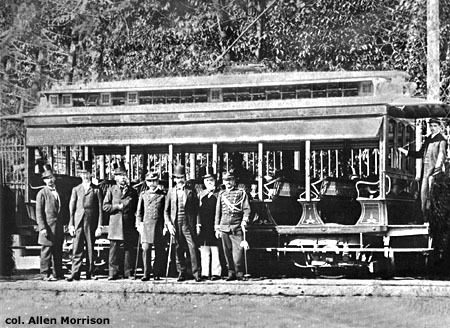 For more information about the tramways above see the indexes on my webpage about Electric Transport in Latin America and my websites on The Tramways of Bolivia, The Tramways of Brazil, The Tramways of Chile, The Tramways of Colombia, The Tramways of Cuba, The Tramways of Ecuador, The Tramways of Mexico, The Tramways of Peru and The Tramways of Venezuela. 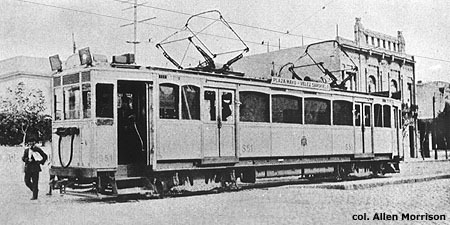 AND LAUNCHED ON 20 APRIL 2003. 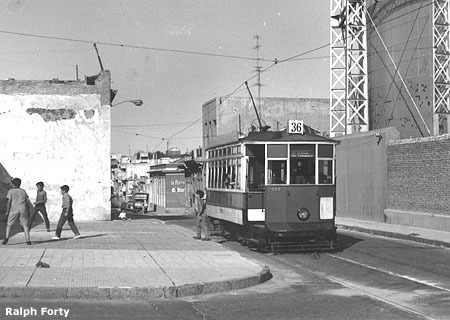 I WELCOME YOUR COMMENTS, SUGGESTIONS AND CORRECTIONS!